A number of events will be run in conjunction with the 2017 exhibition. These include an artist at work on a painting during the exhibition, Painting Critiques for amateur artists. Oil and watercolour painting demonstrations and Guided tours. A number of officer and committee changes were ratified at the Club’s recent AGM. Brian Gallagher has won the “World Illustration Awards 2016” in the “Public Realm – Professional” category, for the piece he did for Cromford Mills/Derwent Valley Mills. RHA Success for both Club members and artists invited to exhibit in our 138th Annual exhibition. Tom King has an article ‘Painting with a Loaded Brush’ featured in the June issue of the ‘Artists and Illustrators’ magazine which is out now. A number of events will be run in conjunction with the 2016 exhibition. These include an artist at work on a painting during the exhibition, Painting Critiques for amateur artists. Oil and watercolour painting demonstrations, Guided tours and a drawing session to celebrate National Drawing Day. 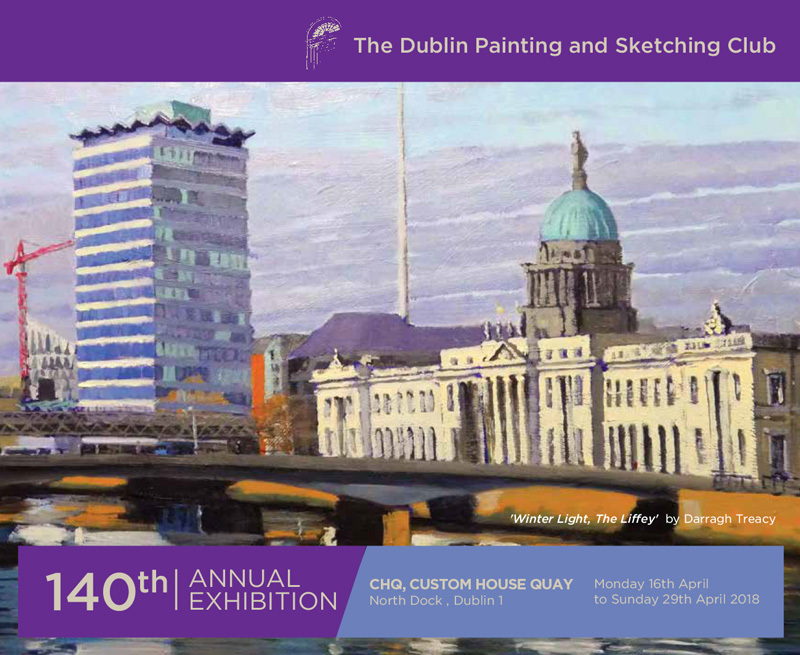 The Dublin Painting and Sketching Club 140th Exhibition catalogue, with the support of the Exhibitions sponsors, Whyte's, is now on-line. View the paintings and buy from the online site.